The vibrant city of Baltimore is one of the top tourist destinations in the United States. New construction in the downtown business district has provided various construction jobs in Baltimore and transformed the city into a growing and evolving town with new hotels, retail centers, office buildings and attractions. Among the new construction, many skilled labor jobs focus on the preservation and renovation of historical buildings and neighborhoods in Maryland. Specialized construction staffing specifically matched to each Maryland contractor ensures the highest quality work and craftsmanship. Tradesmen International’s Baltimore North office offers one of the country’s largest local databases of skilled craftsmen, making it easier than ever to find dependable, safety-minded craftsmen when and where you need them. Nationally, Tradesmen has more than 350,000 field-tested construction worker employees that can be called upon to serve you anywhere you do business. 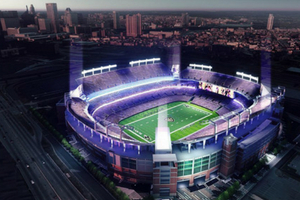 Tradesmen provided three craftsmen for the ongoing enhancements to M&T Bank Stadium, slated for completion before the 2019 season. Our Baltimore office provided several skilled craftsmen during construction on Live! 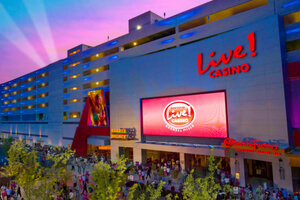 Casino & Hotel, one of the largest commercial casinos in the country located in the Washington DC/Baltimore corridor. 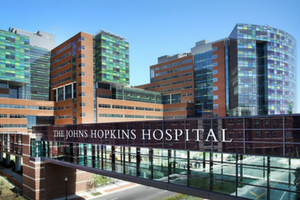 Tradesmen has a crew of 8-10 craftsmen working for John’s Hopkins Hospital facilities department, which ensures that the Hospital’s facilities and medical equipment are safe, meet applicable codes, and are supportive of the Hospital’s mission to be the best healthcare institution in the areas of patient care, education and research. All of our employees undergo a comprehensive screening, application and testing process to ensure you get dependable, hard-working professionals who possess the specific skills to deliver best-in-class work on time and on budget. In addition, all Tradesmen International craftsmen are offered a 10-hour OSHA safety training program in order to support your efforts to optimize safety on your jobsite. Contact our local Baltimore North office today at 443-874-5450 to learn more about your skilled construction staffing options. Find skilled craftsmen in Baltimore.